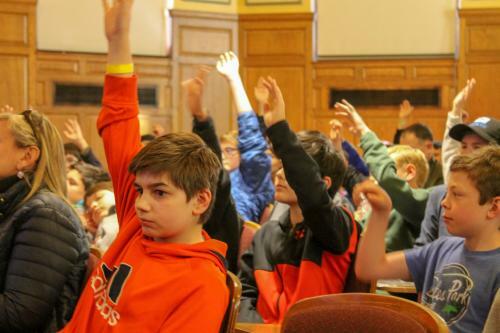 About 100 middle- and high-school students packed into Linsly-Chittenden Hall on Friday afternoon for the debut of Yale’s Computer Science Demo Day. The Computer Science Demo Day, which was organized by Annie Chen ’19 and Amanda Lee ’20, featured 11 “lightning talks” — talks less than five minutes in length — and one panel, which allowed attendees to ask speakers their questions about computer science. Subjects of the talks ranged from robot coding to manipulation of Facebook camera filters. Read complete Yale Daily News article.